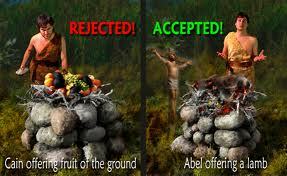 Prior to the fall of man in the Garden of Eden, man and woman were co-regents. Neither ruled over the other. After the fall, God established family government. He said to the woman: “I will greatly multiply thy sorrow and thy conception; in sorrow thou shalt bring forth children; and thy desire shall be to thy husband, and he shall rule over thee (Ge. 4.16). The Bible teaches that the husband is to be the head of the wife (1 Co. 11.3; Ep. 5.22-26; 1 Pe. 3.1, 5-7; 1 Ti. 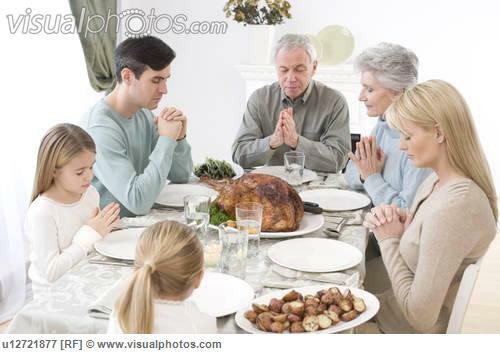 2.11-15), and children are to be instructed and led by the parents (Ex. 20.12; De. 6.6-7; 11.18-21; Pr. 4.1, 2, 10, 11; Ep. 6.1, 4; Col. 3.20). Parents, not the state, are to care for their children: “But if any provide not for his own, and specially for those of his own house, he hath denied the faith, and is worse than an infidel” (1 Ti. 5.8). Even an infidel has a love for his children placed there by God (Mt. 7.9-11). God desires that man satisfy his sexual desire only in marriage. “Thou shalt not commit adultery” (Ex. 20.14). “Nevertheless, to avoid fornication, let every man have his own wife, and let every woman have her own husband” (1 Co. 7.2). “Hear, O Israel: The LORD our God is one LORD: And thou shalt love the LORD thy God with all thine heart, and with all thy soul, and with all thy might. And these words, which I command thee this day, shall be in thine heart: And thou shalt teach them diligently unto thy children, and shalt talk of them when thou sittest in thine house, and when thou walkest by the way, and when thou liest down, and when thou risest up” (De. 6.4-7; see also, Pr. 4.1, 2, 10, 11; 5.1, 2; 22.6; Ep.6.4). 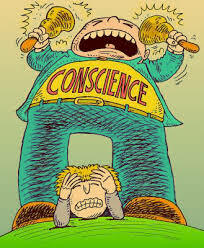 “For when the Gentiles, which have not the law, do by nature the things contained in the law, these, having not the law, are a law unto themselves: Which shew the work of the law written in their hearts, their conscience also bearing witness, and their thoughts the mean while accusing or else excusing one another” (Ro. 2.14-15). Section III, Chapter 3 of God Betrayed defines and analyzes Dispensational versus Covenant Theology and future articles on this blog will examine these theologies as well– See Endnote below for more information on God Betrayed and other books. 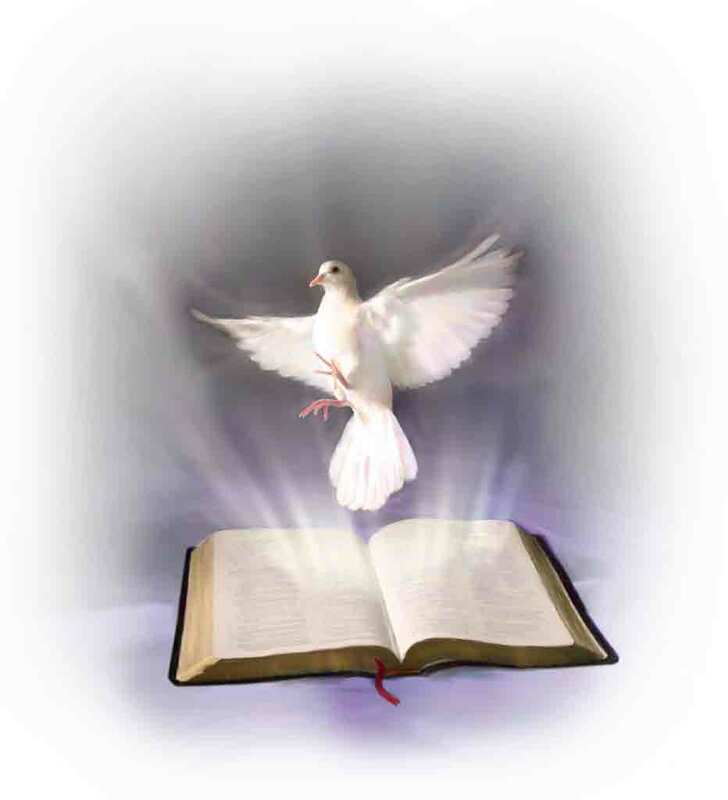 The Holy Spirit also strove with man during the days before the upcoming flood: “And the LORD said, My spirit shall not always strive with man, for that he also is flesh: yet his days shall be an hundred and twenty years” (Ge. 6.3). “During this stewardship man was responsible to respond to God through the promptings of his conscience, and part of a proper response was to bring an acceptable blood sacrifice as God had taught him to do (Gen. 3.21; 4.4). We have a record of only a few responding, and Abel, Enoch, and Noah are especially cited as heroes of faith. We also have the record of those who did not respond and who by their evil deeds brought judgment on the world. Cain refused to acknowledge himself a sinner even when God continued to admonish him (Gen. 4.3, 7). So murder came on the scene of human history” (Charles C. Ryrie, Dispensationalism (Chicago: Moody Press, 1995), pp. 52-53). In the story of Cain and Abel, we see that God still did not allow civil government (direction and control over man by man). After Cain killed Abel, the Lord told Cain, “And now art thou cursed from the earth, which hath opened her mouth to receive thy brother’s blood from thy hand; When thou tillest the ground, it shall not henceforth yield unto thee her strength; a fugitive and a vagabond shalt thou be in the earth” (Ge. 4.11-12). Since Cain feared that “every one that findeth me shall slay me” (Ge. 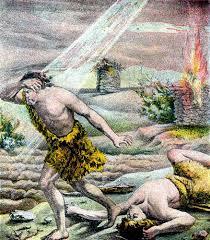 4.14), God said, “… Therefore whosoever slayeth Cain, vengeance shall be taken on him sevenfold. And the Lord set a mark upon Cain, lest any finding him should kill him” (Ge. 4.15). The Supreme Ruler of the universe was telling man that he had no authority to rule over man. At the flood, God delegated to man the authority to rule over man under God because man had demonstrated that since “every imagination of the thoughts of his heart was only evil continually” (Ge. 6.5), “all flesh … corrupted his way upon the earth” and the earth with man guided only by his conscience became “filled with violence” (Ge. 6.12-13). Sadly no nation has ever ruled under God for any extended length of time. The next article will begin the biblical based study of civil government. XII. Information on books by Jerald Finney including links to online previews of two of his books. This article presents more e-mails from pastors and others with their comments, concerns, and questions concerning articles on this blog, and my replies to those e-mails. These e-mail letters not only raise important questions which need to be addressed, but also give insights into the thoughts of pastors and other believers and non-believers. Authors are identified only with their permission. … I have since become the pastor of our small church. Before I came to the church it applied for 501 c 3 status. I have been looking into the matter for about a year. One of the expensive resources states there is no way to borrow money not 501 c 3. We have an EIN (also before I came). We owe on our building about $60,000 which will be paid in under five years. I wish I could say I had no part of that, but I was part of the church when we voted to borrow $200,000 to construct our present facility. … I also want to honor the Lord. It seems the only way we can do this is to dissolve, reorganize, and transfer titles of property (vehicles and real) to the new church. This would also do away with our EIN. However, how can we do that when we owe $60,000 to the bank? We do owe a former member $12,000, and $6,100 on a credit card also (the latter was not my doing either). Our church is just paying its bills and is not able to pay me any salary, gifts, or remuneration. I am looking for some resources to help me to know the Bible and legal way to being separate from Caesar when it can be done. Can you call me or send your phone numbers so we can talk about this? I have misplaced your phone number so I can’t call you. I am glad it all worked out with your wife’s situation. how ridiculous. pastored for 30 yrs a fundam bapt ch in nj- never had govt interference. too many christian crooks to not need this policy. cant even buy land, get tax exemption fm t town w/o 501. cant get a property off tax rolls, would pay thousands in taxes, lawyers,etc. sorry- you are wrong here. guess you’ve never done it. I love you. I love the Lord and His church more. I reply with all sincerity and humility. Let me ask you before proceeding: Will you lay out the biblical doctrines of church, government, and separation of church and state? Also, will you please give me the relevant facts about history? Finally, will you please explain the law of non-profit incorporation and 501(c)(3) for churches and the history of religious freedom? You must be able to answer these questions before conclusions have any validity. You are welcome to examine the biblical principles, laws, history, and other facts upon which I base my conclusions–those are fully explained and analyzed in my books, audio teachings, and articles. If you do not want to buy the books, you can access all my teachings for free through my articles and audio teachings. By the way, did you read the article(s) referenced below in my e-mail before sending this e-mail? I ask this because you do not dispute any facts or arguments I presented in the article(s); rather, you state unfounded and untrue conclusions. New Testament churches (non-incorporated, non-501(c)(3), non-legal entity religious organizations) are operating in the United States and pleasing our Lord as well as getting the property tax exemptions and the other advantages provided by civil law. I know and associate with many of them, and they agree with me. I submitted my teachings to many pastors for review before publishing them. Churches in America can, without persecution, remain under the Lord Jesus alone. People in those churches are taking tax deductions for contributions and using, for the Glory of God, the other advantages that state controlled religious organizations who ignorantly bow down to their false gods are enjoying. A member of a New Testament church needs to understand the law before claiming deductions for tithes and offerings. One does not obey (or disobey in the case of state churches) God for worldly advantage. He does so because he loves Him. He does so even if he suffers or is inconvenienced. In America, no one will suffer at this time for doing things God’s way. There may be a few trivial inconveniences. There are many ways to practice iniquity and disobey our Lord. The most common one for churches in America is through incorporation and 501(c)(3). Churches are rejoicing in iniquity rather than rejoicing in the truth, violating biblical principles, and grieving the Lord when they become legal entities such as incorporated 501(c)(3) religious organizations (see 1 Co. 13 esp. v. 6 as well as my teachings on the doctrines of church, government, separation of church and state, history and law). Most pastors and Christians have no knowledge of the biblical doctrines of the church, civil government, separation of church and state, and the facts about history and law (incorporation and 501(c)(3)). Most pastors are blind on these matters and are leading the blind. I have met very few state pastors who can carry on a rational debate or conversation concerning the relevant doctrines and their application to the facts in the real world–those pastors who are knowledgeable know that my conclusions are right; yet many, for one reason or another, do not come out of Babylon. Sometimes they are so trapped by the system that they must spend years restructuring before they can come out of the system. On the other hand, the Biblical Law Center helps, on a regular basis, state religious organizations shed their ties to the state as they seek to obey biblical principles and become New Testament churches. Please do not take this in the wrong spirit. I am only trying to wake up churches and believers. Biblical principles and the facts about the real world of incorporation, 501(c)(3) are there for anyone who is a born again believer to examine. If you want to attack God’s position, do so with knowledge, not with ridiculous unsupported conclusions. I submit that your conclusions are wrong and grieve our Lord. I present facts based upon biblical principles, history, law and practice. I love you, therefore I tell you the truth. You mention Christian crooks. Did you know that you are one of them? You are crooked as they come because you violate God’s principles. You dishonor Christ’s relationship with His church. You are a spiritual prostitute. Please begin to seek the truth in these matters so that you can be set free (See, e.g., John 8:31-32). Thank you Brother for your emails. Always a blessing a pleasure to read them. The heresy of Calvinism has infiltrated and led many astray. Of course, thinking that those ruling in Boston during pre-Constitution were friendly to born-again believers, just need to stop drinking the Kool aid. The ruling “christians” throughout colonial America persecuted men, women and children of faith. Our history books simply ignore it. I live in Rhode Island, founded by Baptists yet now it is the most Catholic state in the Union; a sad irony. Clearly, our authority to preach the Gospel is from our Lord and Saviour, Jesus Christ, regardless of the tyranny that is sweeping the country. But again, thank you for your blessings of the emails and readings. The heart of God is for His Bride & the winning of the lost, not fighting the government. I agree with you when you said, “The heart of God is for His Bride & the winning of the lost, not fighting the government.” That is what this is all about. 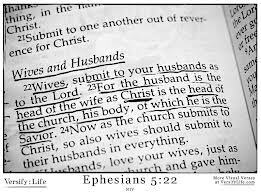 The relationship between Christ and His church, His wife, His bride is extremely important to Him (See, e.g., Ep. 5:22-33). I would recommend reading the opening article on the “Welcome” page of churchandstatelaw.com. I did not write the article, but it offers great insight. The heart of God is that we should glorify Him, love Him with all our heart, soul, mind, and strength. If we do that, we will be the greatest soul winners in the world. I am not for fighting the government either. My message is to churches. Our Lord wants his pastors and churches to proceed with knowledge, understanding, and wisdom. He wants His churches under Him only. Churches in America can do that without persecution. Yet many American churches and pastors are so deceived that they wrongly think they are gaining worldly advantages by incorporation and 501c3. Not only are they losing many of the rights recognized by the 1st Amendment as well as by state constitutional provisions and laws, they are grieving our Lord when they put themselves at least to some degree under another lover. I understand that many Christians have been deceived about these matters. I also understand that most of those who have been deceived are like the Pharisees–their minds are closed to these truths. They have never studied the issues and they will not study the issues. I will continue to proclaim the truths of the Word of God to those who have an ear to hear what the Spirit says unto the churches. Without taking too much of your time, would you be kind enough to give me a quick general overview of your position regarding whether or not a local ekklesia (or Lordship church) should possess a “church charter”. As I believe you know, I appreciate and value your input on matters of this nature. In my opinion, a church should not have a church “charter” because this would violate biblical principles. I base this on an application of the biblical doctrines of the church, government and separation of church and state to the definition of “charter” in a modern Webster’s dictionary, the 1828 Webster’s dictionary, and Black’s Law Dictionary. I think you will agree if you look at those definitions. If you disagree, please let me know. Thanks for respecting me enough to seek my opinion. I also greatly esteem you and your efforts for our Lord. I’m rather well informed about the 501c3 church issue, it’s been a matter of personal study for the last 2 years and so I don’t need any more convincing about it. You’re probably familiar with people asking you the question, “ok Mr. Finney I live in randomtown USA and don’t want to be leavened by my local 501c3 ‘church’. What do you recommend?” Well, it’s about time I ask you that question myself. What do you recommend? I’m a 26 year old man, young husband, new father, believe the authorized version is God’s words preserved and translated by faithful men into English. Believe Jesus Christ is King of Kings and has the preeminence in all things. Looking for preaching against Rome and her idolatries etc etc. Any suggestions on what in the world to do? We live in a suburb of Cleveland, Ohio if it’s any help. You might contact the following pastor about such a church in your area. I don’t remember if Novelty, Ohio is a suburb of Cincinnati or Cleveland. At any rate, he may be able to help you find a church if Doers of the Word Baptist Church is not close to where you live. God bless you for seeking to do things His way. This is perfect! I asked God for more wisdom and knowledge about the biblical doctrine of the separation of the church and state and here,,, just learning all about the wonderful teachings Mr J Finney provided. I am also considering going into politics as Christian so that my country represent will know that God is alive and through God we can build democracy. Thank you for this site! God Bless. Thanks for your comment. We need knowledgeable believers running our civil governments. May the Lord bless you greatly. Once again I want to thank you for the email of 3/3/2011…I have listened to most of the sermon’s, however I had not listened to Brother Richard Miller’s sermon on “The soon coming of The Son of Man”. I read all of Brother Miller’s Biography…What a great work this Brother is doing in reference to the Lord’s Word. Thank you for all of work you are doing for our Lord and Savior Jesus Christ…I am getting such an abundance of “Knowledge and Wisdom”, thanks to all of your work and effort. AMEN. Thanks, Bro. Baird. I agree with you on Bro. Miller. What a great message. I have heard him preach 2 or 3 times and every time he has hit a home run. I publish comments from pastors and other Christians from time to time. Would you give me permission to publish yours with your identity (not your e-mail address or contact info.)? Or, if not with your name, without your name? I would greatly appreciate your permission to do so. God bless you and thanks for the encouragement. I want to thank you for the email of 01-08-2011 [linking to the blog article] Christ, the Bridegroom/Husband/Head of His churches‏. It has been difficult to figure out just where to start…So after some serious thought and looking over the choices…I decided to! Why not start with (About Jerald Finney) you. I believe I made an excellent choice. I want to commend you for all the work and study you have put into the Work of The Lord Jesus Christ. I am 85 an unless the Lord really wants me to, I will never be able to get through it all, one reason, one really needs to slow up and absorb what he is reading? Just in case you can not place the name. I am Chris Millers Grandpa. Thanks again. Wishing you and yours a nice day. Thanks for your comment. I just posted it. I have been out of town most of the last 3-4 months and have gotten behind. It takes a lot of time to study these issues out, but it is good to see a brother in Christ who is interested in the things of God. Hope to see you before long. Chris is a great young man of God. One of my favorites. You and his dad did a great job, with the Lord’s help, bringing him up. It’s the true history. It is and can be documented. If the click on link doesn’t appear then go to utube. Address below. For many years, I followed and greatly admired David Barton. I worked in the political parties to bring America back under God. I supported the “God save America” efforts of the fundamental Baptist movement. However, Barton and other Christian authors and speakers I depended upon did not explain certain matters that obviously needed to be explained. For example, I repeated their mantra, as did a lot of other Christians, “Separation of church and state is not found in the Constitution” (or “The words ‘separation of church and state’ are not found in the Constitution.”). So what is to be concluded from that question? Should church and state be combined? If so, who is to control, church or state? What can one expect from a combination of church and state if the state controls? What if the church controls? Which church will control, and what will happen to those labeled “heretics” because they refuse to bow down to the established religion, especially to those who hold an interpretation which conflicts with established creed? Will they suffer the fate of Christians in many Buddhist, Hindu, atheist, and Moslem nations (When in power, Islam, by the way, believes in and practices union of religion and state)? And what about separation of God and state as we now see in America? How can God be over a nation? How can God’s principles be the guiding light for a nation? How did America become a pluralistic nation that has rejected the one true God? Etc. David Barton never publicly looks any deeper than the selected historical facts he quotes and at times misquotes and always incorrectly analyzes. He does not explain his theology. Some of the other leaders who share Barton’s beliefs do look deeper, explain their theology, and intend union of church and state. Their intentions are based upon a false interpretation of Scripture. They believe, against biblical teaching and against the witness of history, that the union of church and state will result in peace and unity on earth before Christ returns. They are actively promoting the one world government and religion that is prophesied in the Bible; and they don’t understand this because of their perversion of Scripture. Yes, the facts Barton cites can be documented. However, David Barton leaves out a lot of facts that need to be studied and known in order to correctly understand the history of America. He is a Christian revisionist. Because American Christians have followed Christian revisionism, America has continued to decline at an accelerating rate. I learned this as a result of my life experiences including experiences in the law and in years of study of what is happening in many churches. In my studies, I came across many facts-facts that anyone can easily verify-which David Barton and other Christian revisionist never mentioned; through studying both contemporary and historical books which, when put together, tell the whole story. I found the answers to the questions presented in the first paragraph above, and much more. I give a lot of facts that David Barton never touches upon in my books (click the following link for links to books, including those I have written: http://churchandstatelaw.com/gpage1.html), articles, and audio teachings. Those facts must be known before one can understand the issues. My articles are published on https://opbcbibletrust.wordpress.com/, any my audio teaching are published on https://opbcbibletrust.wordpress.com/ and http://churchandstatelaw.com/gpage2.html. After salvation, God desires that his children grow in knowledge. “My people are destroyed for lack of knowledge” (Ho. 4.6). “According as his divine power hath given unto us all things that pertain unto life and godliness, through the knowledge of him that hath called us to glory and virtue: Whereby are given unto us exceeding great and precious promises: that by these ye might be partakers of the divine nature, having escaped the corruption that is in the world through lust. And beside this, giving all diligence, add to your faith virtue; and to virtue knowledge; And to knowledge temperance; and to temperance patience; and to patience godliness; And to godliness brotherly kindness; and to brotherly kindness charity. For if these things be in you, and abound, they make you that ye shall neither be barren nor unfruitful in the knowledge of our Lord Jesus Christ. But he that lacketh these things is blind, and cannot see afar off, and hath forgotten that he was purged from his old sins. Wherefore the rather, brethren, give diligence to make your calling and election sure: for if ye do these things, ye shall never fall” (2 Pe. 1.3-10). I explain this in much more detail in my teachings. Go to https://opbcbibletrust.wordpress.com/after-salvation/ for a biblical teaching on growing in knowledge, understanding and wisdom. Should Christians continue their misguided attempts to “save America,” less and less will be accomplished for that cause, much less the cause of saving our American churches and the cause of winning souls to Christ. As I labored long and hard to bring America back under God starting in the mid-80s, I watched as my efforts along with those of millions of well-meaning Christians produced no true victories and as America (and more importantly, her churches and Christians) moved farther and farther from God and His principles. Keep following men like David Barton. Based upon biblical teaching and principles, I believe your efforts will continue to be counterproductive. My beloved brother, studious friend, and benevolent mentor, you have conveyed a much needed critique of the David Barton’s efforts to communicate a partial and misguided view of American history. You are to be commended. I have to wonder if those to whom you sent this know and understand about the partiality of Barton’s grasp on such subjects. Do they recognize the facts that, in the architectural embellishment of the Supreme Court building, there are many icons represented. There, one will see Hammurabi, Moses, Solomon, Lycurgus, Solon, Draco, Confucius, Augustus, Justinian, Mohammed, Charlemagne, King John, St. Louis, Hugo Grotius, William Blackstone, John Marshall, and Napoleon. Moses, with BLANK tablets, is no more in stature or prominence than the others up above the heads of men in the South Courtroom Frieze. The sculpture located above the East (or rear) entrance to the Supreme Court is Justice the Guardian of Liberty, the supposed image of Moses is in company with Confucius and Solon. I have to wonder if Moses could tolerate such an generic association of so-called great leaders if were he alive today. That’s not all. On the oak courtroom doors are the supposed Mosaic Laws on two tablets; laws represented by Roman numerals only AND on the bottom-half of the door, not in the line of vision, as is the top ornament. I have to wonder some more: Do any of your readers know who Adolph Weinman was, that is, his worldview and how it shaped his sculptures? (They can find out here, http://www.aaa.si.edu/collectionsonline/weinadol/, if the dare.) He’s the one who executed sculpture for the Supreme Court. The Rotunda is a different story. In the U.S. Capitol Rotunda that David Barton so adorns with his revisionist history, the particular paintings he loves to tell the story of (Landing of Columbus, 1847; Baptism of Pocahontas, 1837; Embarkation of the Pilgrims, 1844) weren’t added until between 1837 and 1847. That’s significant in itself. But it gets worse. Shall I mention the Frieze of American History? Yes! To me, what is interesting about the content of historical representation is the mixture that is shown in the District of Criminals. That mixture of ideas is the very thing Christians are warned about and prohibited from in the Holy Writ of God: something Enlightenment thinkers would and did reason away with all sorts of fanciful distortions of truth. Jerald, may the archives of Heaven welcome your content. Continue being a light in what is increasingly becoming the darkest of days in all of American history AND what is called Christianity. Our LORD guide your heart into the love of God and the patient waiting for Jesus Christ. If you really want to begin to know “the rest of the story” or the whole story concerning David Barton’s teachings, please start with the bottom letter and go up. It will only take you a few minutes and may be of great help to you in your future endeavors for the Glory of God. May the Lord richly bless you with all spiritual blessings as you proceed in knowledge, wisdom, and understanding. As you can see, two of the contributors to this exchange, Aron Brackeen and Eric Rodriguez (who would a few years ago called me unpatriotic and anti-American, as I would have called someone with my present views. ), have looked deeper into the facts. The Biblical Law Center helps churches to organize as New Testament churches completely out from under civil government and under God only. See churchandstatelaw.com for contact information for Jerald Finney, counsel for the Biblical Law Center. This is a ministry, not a business enterprise. Jerald Finney has made no profit at all in this endeavor of Christian love, but rather has expended much of his own money for God’s glory, in attempting to provide information and service for God’s churches. About Jerald Finney: The author is a Christian first and a lawyer second. He has no motive to mislead you. In fact, his motivation is to tell you the truth about this matter, and he guards himself against temptation on this and other issues by doing all he does at no charge. He does not seek riches. His motivation is his love for God first and for others second. His goal is the Glory of God. Jerald Finney has been saved since 1982. God called him to go to law school for His Glory. In obedience, Finney entered the University of Texas School of Law in 1990, was licensed and began to practice law, for the Glory of God, in November of 1993. To learn more about the author click the following link: About Jerald Finney.